Ioannidis logged five total tackles and 2.5 sacks during Sunday's 20-13 win over the Giants. Analysis: Ioannidis exploited a flimsy Giants' O-line to the fullest in Week 8, bringing his seasonal sack total to 5.5. The 24-year-old defensive tackle has now racked up more sacks in 2018 than during his previous two seasons combined, and will look to continue showing well in Week 9 against a Falcons defense that has allowed Matt Ryan to take 20 sacks on the season. Ioannidis racked up two tackles and a sack during Sunday's 31-17 victory over the Packers. 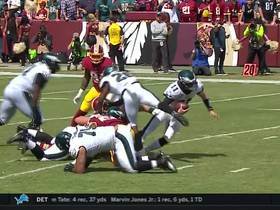 Analysis: Ioannidis has a sack in every game this season and is tied for third in the NFL in that category. The 24-year-old defensive tackle had accumulated just 4.5 sacks in 24 career games entering the year, so we may be witnessing a breakout campaign. 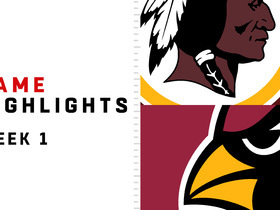 Ioannidis (knee, ankle) participated in Tuesday's practice, John Keim of ESPN.com reports. Analysis: Ioannidis has been sidelined since the preseason opener when he suffered a knee injury and was forced to leave the contest. After nearly a month off, Ioannidis looks to be back to practice in full, which bodes well for his status for the start of the regular season. Ioannidis (knee, ankle) didn't play in Friday's preseason loss to the Broncos. Analysis: Looking to build on last year's unexpected 4.5-sack showing, Ioannidis is listed atop the depth chart at defensive end. He hasn't played since suffering a knee injury in the preseason opener, allowing Ziggy Hood to join the starting lineup. Washington's defensive scheme hasn't been conducive to IDP production from defensive linemen the past few years. 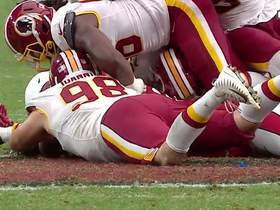 Ioannidis (knee) is also nursing a sprained ankle and is considered week-to-week, JP Finlay of NBC Sports Washington reports. 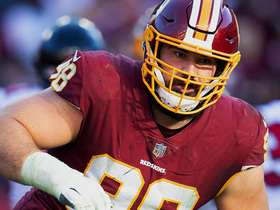 Analysis: It was reported Thursday that Ioannidis was still on track for the regular-season opener, but the Redskins are going to be taking it one week at a time with the defensive end given he is nursing multiple injuries. Chances are Ioannidis is held out of Thursday's preseason game against the Jets. 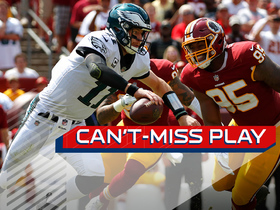 Ioannidis (knee) is expected to miss some time, but he remains on track for the season opener, John Keim of ESPN.com reports. Analysis: Ioannidis hurt his knee during Thursday's preseason opener, but the issue does not seem to be serious. He projects as the team's starting defensive end, so expect them to err on the side of caution in order to ensure his health for the start of the season. Anthony Lanier figures to fill in for him for the foreseeable future at practice. Ioannidis sustained a knee injury in Thursday's game against the Patriots. Analysis: Ionnadis will receive an MRI on Friday to determine the severity of the injury. 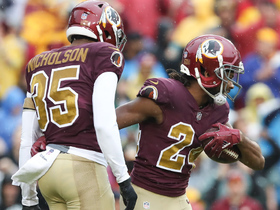 Losing the young defensive end for an extended period of time would be a blow to the Redskins' front seven, so the hope is that the injury is just a tweak. Look for Anthony Lanier to see increased reps with the first team as long as Ioannidis is sidelined. Ioannidis has been participating in practices despite having turf toe, John Keim of ESPN.com reports. Ioannidis (knee) is participating in training camp. Analysis: Ioannidis was forced to prematurely exit the final game of the 2017 regular season due to a knee injury, but it looks like he has no lingering issues as he was a participant in 11-on-11 drills during camp. 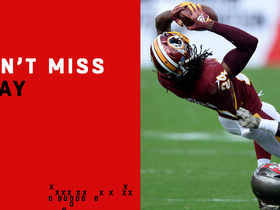 Ioannidis exited Sunday's 18-10 loss to the Giants with a knee injury. Analysis: Ioannidis sustained the injury in the second half and was designated questionable to return, but was able to leave the field under his own power. Ioannidis suffered an ankle injury Thursday against the Giants and is questionable to return. Analysis: Ioannidis was seeing an increased snap count with Terrell McClain (toe) inactive. However, if Ioannidis can't return, the Redskins will be awfully skimp on their defensive front, and Anthony Lanier will take a bulk of the snaps at defensive end. Ioannidis (hand) is listed as active for Thursday's game against the Giants, Adam Schefter of ESPN reports. Analysis: Ioannidis compiled 3.5 sacks through his first five games, but he has yet to notch another one since. Thursday night will be a good opportunity against a poor Giants offensive front. However, until he can prove himself worthy again, fantasy owners should stay away from the defensive end with a low floor. Ionnidis (hand) is active for Sunday's Week 11 matchup with the Saints. 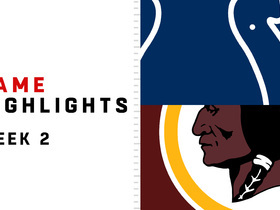 Analysis: Ionnidis sat out the Redskins' past two games after undergoing hand surgery. He'll be playing despite being limited in practice throughout the week and should have at least a minor role along the defensive line. Ioannidis (hand) is listed as questionable for Sunday's game against the Saints. Analysis: Ioannidis was limited in practice all week with the lingering hand injury, but his being listed as questionable is an encouraging sign for the defensive end after he underwent surgery in late October. He'll could be included in the line rotation if he suits up in Week 11. 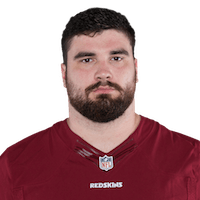 Ioannidis (hand) will not play in Sunday's game against the Vikings, Stephen Czarda of the Redskins' official website reports. Analysis: Ioannidis recently underwent hand surgery and was expected to miss at least one week. His absence in Week 10 will mark his second game missed. The 23-year-old's next chance to return will now be in Week 11.